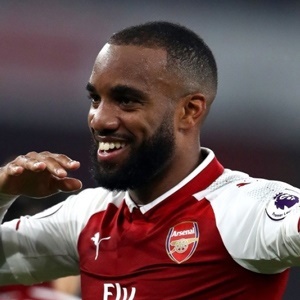 Cape Town - Alexandre Lacazette's agent insists there is no cause for alarm after Arsenal's record signing found himself on the bench against Manchester City. The 26-year-old striker has made a promising start to his career at the Emirates Stadium after scoring six goals in his first 11 Premier League outings. Nine of those appearances were starts with the other two coming as a substitute, at Liverpool and City - both games ending in defeat for Arsene Wenger's side. But while David Vendetelli admits his client would like to play in every game, he is not planning to discuss the matter with Wenger. "Our way of working is to relativise things: 11 matches, nine starts," Vendetelli told SFR Sport. "Of course, it's not nice to see that he didn't start that match, but it was - as Arsene Wenger explained - for tactical reasons. "He's learning. Alex needs to have calm around him. He's happy, and Arsenal are too with his work. It's not because a player doesn't play, even though it's two important games of course. He would have preferred to have played them. "You can't, every time your player doesn't play, even if it's Alexandre Lacazette, knock on the door or pick up the phone and talk to the manager. No, no, it's not time yet. Everything is fine."